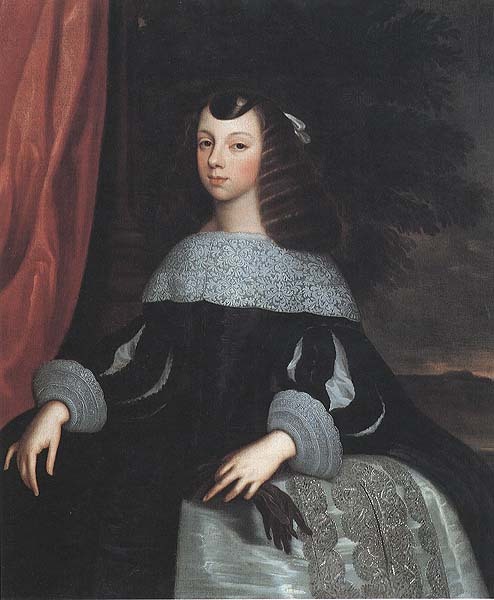 Tea was first introduced to Europe by the Portuguese Jesuit, Father Jasper de Cruz, in 1560, and it was a Portuguese princess, Catherine of Braganza, the wife of Charles II, who introduced it to Britain. In fact, part of her dowry was a chest of tea from China. 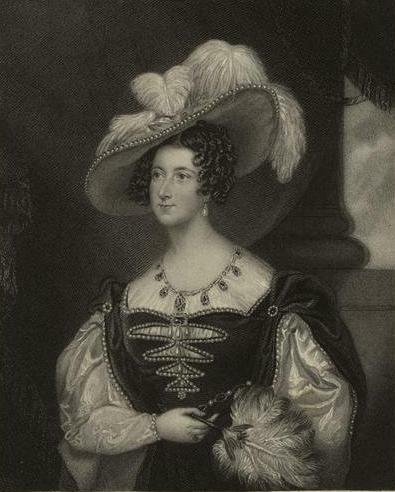 A lover of tea since her childhood, Queen Catherine brought tea drinking to the Court, helping to set a trend among the aristocracy of seventeenth-century England. 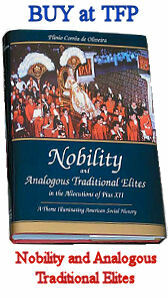 From the nobility, tea spread to the gentry and the lower levels of society, quickly becoming a popular and national drink. 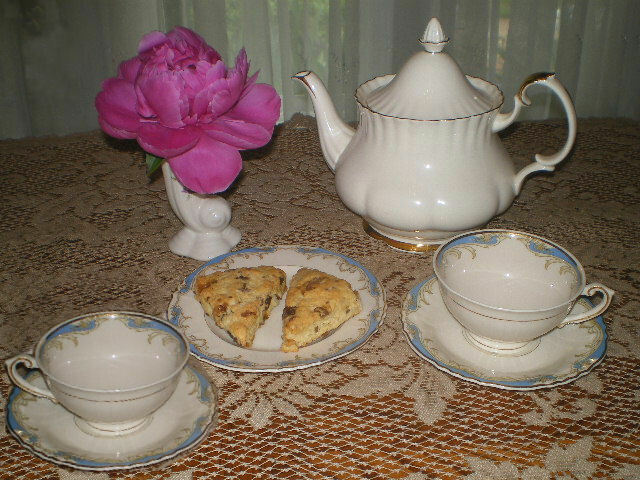 It was only in the late 1830s, that the appreciation of tea in Britain reached its zenith, with the institution of that social tradition that came to be known as, “afternoon tea.” This social custom was the brainchild of a wealthy English noblewoman, Lady Anna Maria Stanhope, wife of the 7th Duke of Bedford. She entertained her friends at Woburn Abbey in the Blue Drawing Room, and believed that the time between lunch and dinner was too long. Thus, to bridge the long hours, she conceived the idea of an afternoon tea, and asked that tea be served, together with a light snack of bread, butter, cakes, tarts, and biscuits. 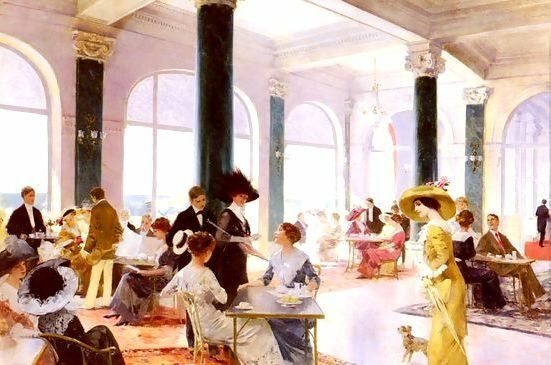 By the 1860s, afternoon tea had become fashionable and widespread. 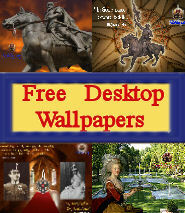 It was an elegant affair with fine linen and sterling silver. The tea was served in the hostess’s best china, and small amounts of tasty food presented perfectly on matching small plates. 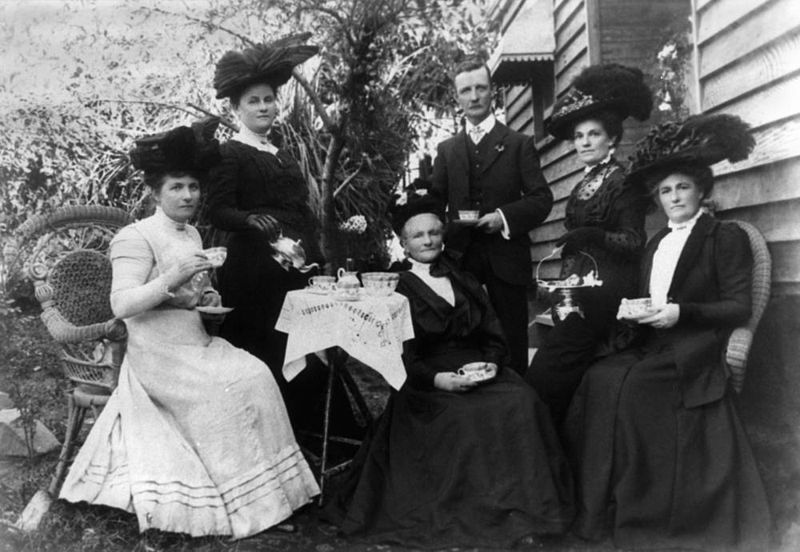 Afternoon tea in the garden, 1907, in Gympie, a city in south-eastern Queensland, Australia. Gympie’s industry at that time was timber. In every English colony, no matter what part of the world, afternoon tea was celebrated. 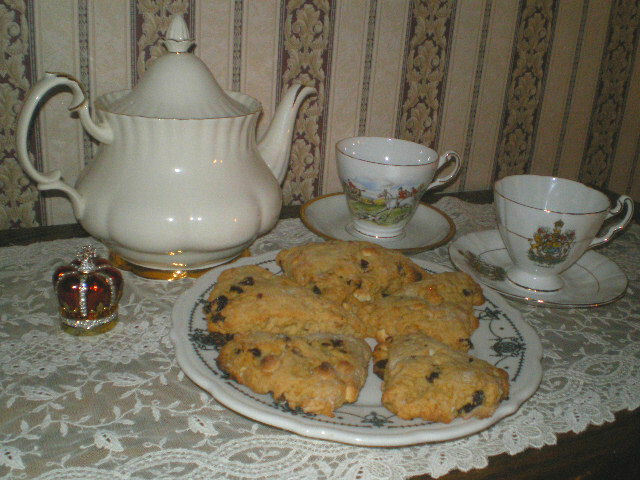 This growing popularity of afternoon tea coincided with Britain’s golden age of empire, and thus, from England to Australia, Scotland to South Africa, Ireland to India, ladies and gentlemen stopped their occupations to enjoy some moments of refined leisure and genteel conversation together over afternoon tea. 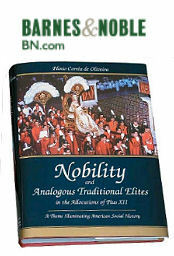 This social custom helped bond the most far-flung corners of the empire, so that just as the person of the King or Queen served to unite the empire in government, so also the afternoon tea united them in British tradition and social graces. Although not religious at all in its nature, the afternoon tea forged an imponderable, metaphysical, spiritual union. It was a symbol. An elegant and visible symbol of Britishness. Place the 3 Stash Chai Spice teabags in the Tea Ball Teapot without the tea basket. Boil water in a teapot and pour ½ cup of hot water over the 3 teabags (in the tea ball tea pot). Let it steep for 5 minutes. Remove teabags, gently squeezing the liquid out, discard bags and let the tea cool. Meanwhile, heat the oven to 375°, spread the slivered almonds on a cookie sheet and lightly roast for 5 minutes. Remove from oven, let them cool and increase oven to 425°. Combine dry ingredients together, add butter, tea, buttermilk, vanilla and mix until all the dry ingredients are wet. Add almonds, cranberries and chips and mix well. Turn dough onto a lightly floured, clean surface and pat the dough into a circle of about 12½ by 12½. 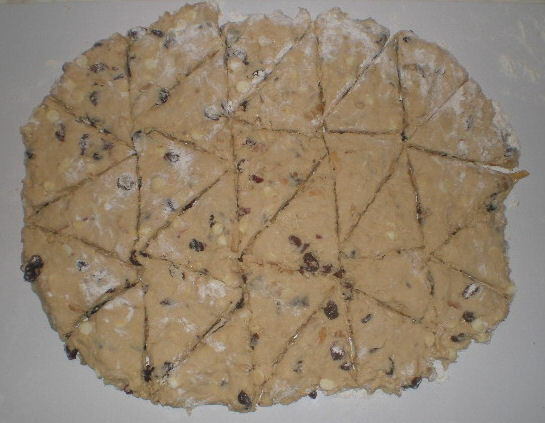 Cut the dough into 4 (vertical) sections. Then cut each section into 5 or 6 triangles. Bake on a lightly greased cookie sheet for 10 minutes or until golden brown. Transfer scones to a wire rack to cool. Serve, store or freeze. 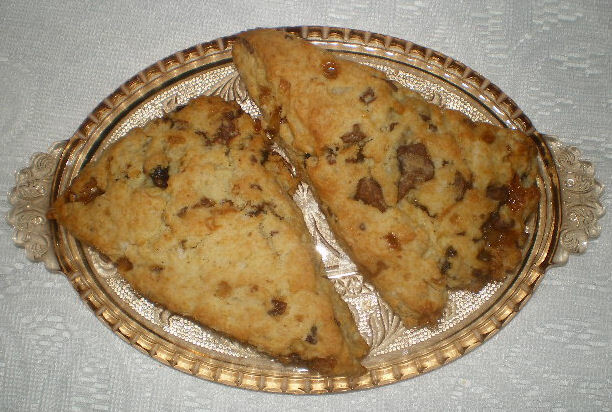 You can make these scones up a day ahead, since they taste better the next day. Makes 2 dozen.